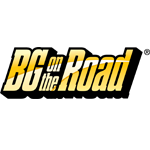 BG On The Road® roadside assistance | BG Products, Inc.
BG On The Road® roadside assistance is complimentary with the purchase of BG Automotive Maintenance Services! **Cost of gas, other fluids or key replacement not included. ***$500 USD reward for anyone responsible for hit and run damages or stealing your vehicle. BG On The Road® roadside assistance is available in the U.S., Puerto Rico and Canada and offers up to $100 USD in roadside assistance per event, except for Emergency Travel Expense ($300 USD) and Theft/Hit and Run Protection ($500 USD). BG On The Road® roadside assistance is limited to two events for six months. You must be given a complimentary BG on the Road® card by a participating shop and activate the card to have coverage. Schedule a quality BG Automotive Maintenance Service and score complimentary roadside assistance today! Find a BG shop near you.